Royal Bafokeng Platinum concluded the Maseve acquisition during the first half of the year - however, associated costs negatively impacted earnings, contributing to a loss per share of 12.4 cents. According to the interim results for the six months ended June 30, 2018, released on Monday, costs associated with care and maintenance and operational readiness for Maseve came to R20.5m. Another negative contributor to earnings was the R25.9m impairment of feasibility study costs for the Styldrift concentrator plant, which was to be built in addition to the Royal Bafokeng concentrator plant. The loss per share of 12.4 cents is a 17.3% improvement compared to the 15 cents reported for the same period last year, Royal Bafokeng [JSE: RBP] said. Headline loss per share came to 6 cents, a 60.8% improvement, compared to 15.3 cents reported for the same period last year. Royal Bafokeng regards the Maseve acquisition as one of the period's strategic transactions. Phase 1 of the acquisition involved the acquisition of immovable property and the Maseve concentrator plant for $58m (about R775m). The property and concentrator plant were disposed to the Bafokeng Rasimone Platinum Mine joint venture at cost. Phase 2 involved the acquisition of all the shares and shareholder claims owing by Maseve on April 26 for $12m (about R160m). The Maseve concentrator will be commissioned during the third quarter of the year to handle the increasing tonnages delivered from Styldrift. Royal Bafokeng is working on another acquisition, and on July 4 concluded the legally binding agreements with Anglo American Platinum’s wholly owned subsidiary Rustenburg Platinum Mines for their 33% interest in Bafokeng Rasimone Platinum Mine joint venture. The amount for consideration is R1.86bn. 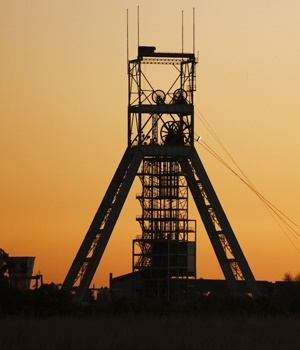 During the period, the mine’s net revenue improved by 4.1%, from R1.59bn to R1.66bn. "This increase in revenue is mainly due to a 12.7% higher realised average rand basket price per platinum ounce at R19 990,” the report read. Previously, the revenue per platinum ounce was R 17 745bn. This was offset by a 6.6% reduction in Bafoken Rasimone Platinum Mine joint venture production. Total cost of sales decreased by 5% from R1.58bn previously to R1.5bn in 2018. The restructuring process and cost saving initiatives started in 2017 yielded cost saving benefits, according to Royal Bafokeng Platinum. Administration costs decreased by R8.5m as a result of savings related to the restructuring costs of R57.1m during 2017. But the decrease was offset by the impairment of feasibility study costs, and the costs of the Maseve acquisition. Royal Bafokeng expects to continue to benefit from cost saving initiatives during the second half of the year. Gross profit margin increased from 0.7%, for the same period last year, to 9.4% for the first half of 2018. "This was due to a 4.1% improvement in net revenue and a 5% reduction in total cost of sales," the report read. Earnings before interest, tax and depreciation and amortisation (Ebitda) as a percentage of revenue improved from 6.3% to 13.4%, mainly as a result of increased revenue and reduced costs.